We couldn’t think of a better candidate for Superhero November than Michelle Hefley. 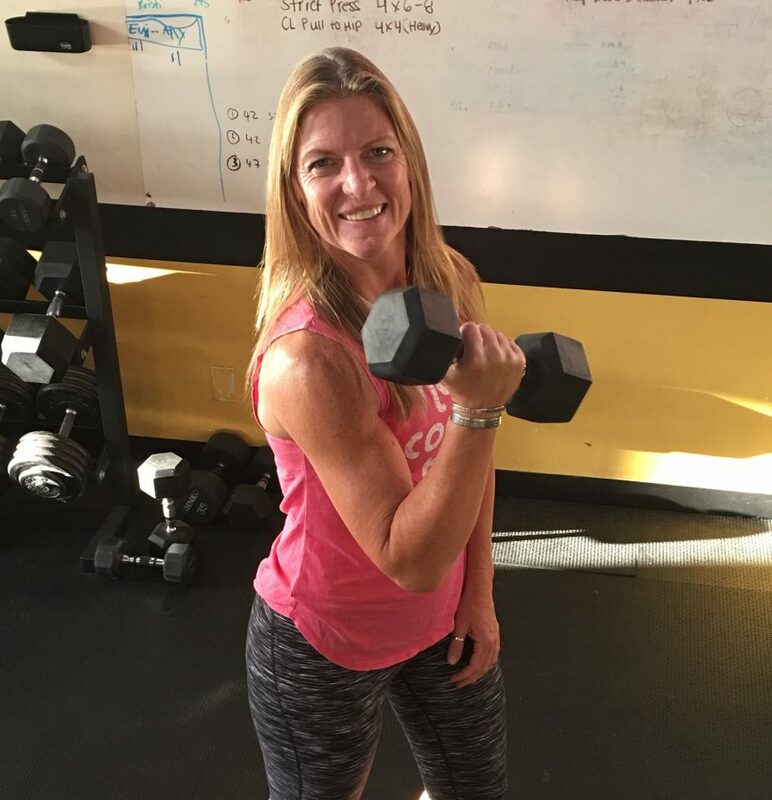 In her words, she “…..knew she had to drop the beer to get her mind right and her body strong after a long divorce from an abusive husband.” Two years ago Michelle’s friend Glenn recommended to see Amanda and Mo-Mentum for her to get a good workout. Michelle has been hooked ever since. She is one of the most consistent Mo-Mentum Tribe members and her smile brightens up any room she enters. We love how Michelle encourages others during workouts and is a cheerleader for people who are new to the gym. For anyone who has started working out and is worried about losing weight on the scale….this is a great interview to read. Michelle’s experience will help you! Congrats, Michelle! You are a true inspiration! The couple years prior to joining Mo-Mentum I didn’t have the healthiest lifestyle. I wasn’t overweight or anything, I was just in a horrible relationship that left little to no time to think of or to take care of myself. I enjoyed outdoor activities, but they never became a priority. 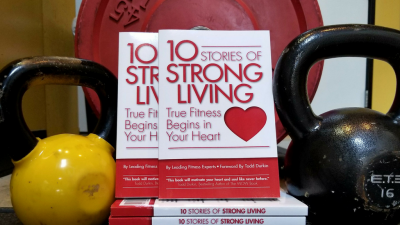 Fitness came into my life during the time came when I had to divorce an abusive husband. The divorce proceedings went on for months, actually over a year. When everything was finalized I had to get my act together. T ime to drop the beer and pick-up weights. So I started doing some stretches and power walking which turned into long runs. Then a couple years after moving back to California my friend, Glenn, advised I go talk to Amanda at Mo-Mentum….and I have been hooked ever since!! The results have been phenomenal. I love my physique and the fact that I can rock a bikini at the beach. I’ve actually gained weight – the good weight and lost the bad stuff. I’m not nearly as winded in SPIN and HIIT class as I was, this same time, last year. This makes me enjoy the workouts even more. I can push a little harder without feeling like my lungs have jumped out of my body. Now the trainers encourage me to grab a heavier weight based on my increased endurance level – I’m really happy that they have seen/heard my desires for lean cut muscles and are helping me attain that goal. Super yayy! I love having a regular routine and love going to the gym after work. The 6:00pm classes are perfect with my work schedule!! I feel so great after a good work-out, and love how the classes have changed and evolved into fun and more energizing sessions (the newest class Mashup Monday is fabulous – Alex is great!). It shows that the Trainers have gone to the fitness seminars/trade shows and they are learning more and fun workout routines – and share the knowledge with us, the gym members. Bike rides down to the beach, the new wholesome relationship that I have, and the new friends I have met at the gym. I love how my gym buddies and I motivate each other to push harder, longer, and stronger! Stronger, more alive, happy, less stressed, blessed, free……..I could go on. Congratulations, Michelle! Thank you for sharing your incredible story of strength and courage with us!